sure that it is firmly seated in place. 9. Slide the toner cartridge back into the machine. 10. Close the front cover firmly. 11. Turn the machine on. container needs to be replaced. Otherwise your machine stops printing. 1. Turn the machine off, then wait a few minutes for the machine to cool. 2. Open the front cover. 3. 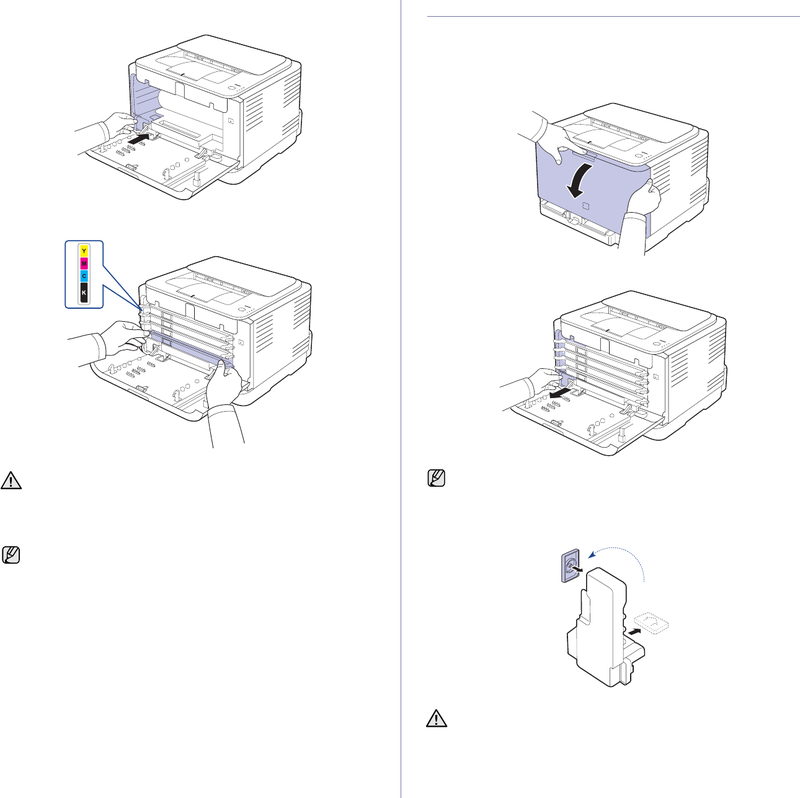 Pull the waste toner container out of the machine using its handle. use it to close the waste toner container opening. 5. Take a new waste toner container out of its package. operate. Please make sure all toner cartridges are installed properly. for your machine to get ready. that the toner does not spill. Do not tilt or turn over the container.